“Canadian rental housing policy: Implications for immigrants.” Metropolis Conference. Halifax. March 21-23, 2019. “Canadian rental housing policy: Implications for smart growth.” Canada Mortgage and Housing Corporation National Housing Conference. Ottawa. November 21-22, 2018. “Beyond the success story: Patterns in Canadian rental housing policy.” Association of American Schools of Planning. Buffalo. October 24-28, 2018. 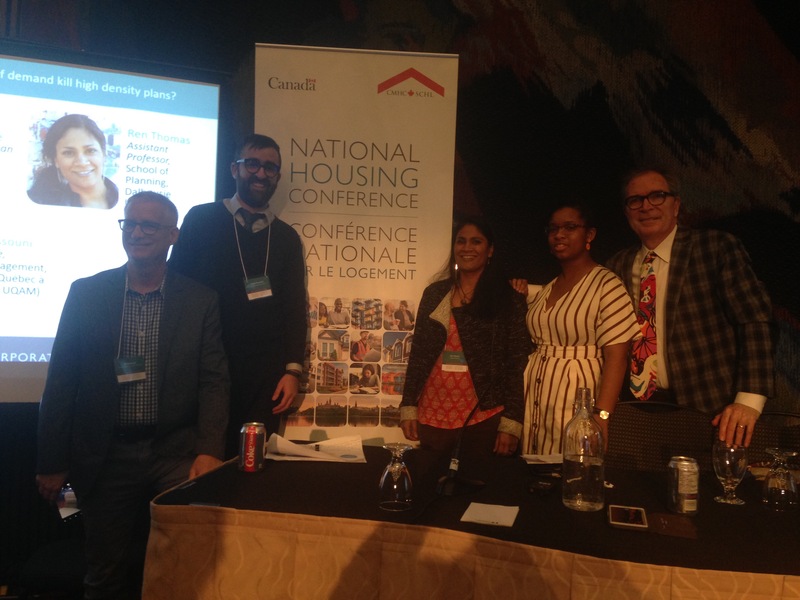 “Overcoming barriers: Learning from case studies in Canadian rental housing policy and implementation.” [presentation file]. Association of European Schools of Planning Annual Conference. Gothenburg. July 10-14, 2018. “Structured versus unstructured: Introducing students to experiential learning in a studio setting [paper].” [presentation file] Association of Collegiate Schools of Planning Annual Conference. Denver. October 12-15, 2017. “Using Case Studies in the Canadian Teaching Context [paper].” [presentation file]Association of Collegiate Schools of Planning Annual Conference. Houston. October 22-25, 2015. “Meta-analysis as a qualitative approach to case comparison.” Association of Collegiate Schools of Planning Annual Conference. Philadelphia. October 30-November 2, 2014. “Defining critical success factors in TOD implementation using rough set analysis.” World Society of Transport and Land Use Research Symposium. Delft. June 25-27, 2014. “The iTOD project: actors, institutions, and governance.” Canadian Association of Geographers Conference. St. Catherines. May 25-30, 2014. “A meta-analysis of international case studies in TOD: transferable lessons.” International Seminar on Transit-Oriented Development. Arnhem. September 19-21, 2013. “Beyond the case study dilemma in planning: A meta-analysis of TOD cases.” Association of European Schools of Planning/Association of Collegiate Schools of Planning Joint Conference. Dublin. July 15-19, 2013. “Flexibility in housing choices: Implications for community resiliency.” International Sociological Association RC43 Housing Conference. Amsterdam. July 10-12, 2013. “Integrating land use and transport planning: Meta-analysis of international case studies.” Aalborg-Amsterdam Sustainable Mobility Seminar. Amsterdam. January 28-29, 2013. “The Filipino case: Insights into transportation choice and resiliency among immigrants.” Association of Collegiate Schools of Planning Annual Conference. Salt Lake City. October 12-16, 2011. “The use of qualitative methods in studies of immigrants’ housing patterns.” Association of Canadian University Planning Programs/Canadian Association of Geographers conference. Calgary. May 31-June 4, 2011. “Lessons learned from a housing-transportation case study.” National Metropolis Conference on Immigration and Migration. Vancouver. March 23-26, 2011. “Integrating housing and transportation choices using structural change: A case study of Filipino immigrants in the Toronto CMA.” Association of Collegiate Schools of Planning Annual Conference. Minneapolis. October 7-10, 2010. “Housing and transportation choices of Filipino immigrants in Toronto.” National Metropolis Conference on Immigration and Migration. Montréal. March 18-21, 2010. “Integrating housing and transportation policy in BC: Implications for immigrant communities.” Symposium on Challenges to Affordable and Sustainable Housing. UBC. October 16, 2009. “Context Specific: Immigrants’ housing and transportation choices.” Association of American Geographers Annual Congress. Session on Multiscalar Change and Planning Innovation in the Global City. Las Vegas. March 22-27, 2009. “A shift towards youth in transportation planning.” International Making Cities Livable Conference. Santa Fe. June 1-5, 2008. “Ethnic food on the decline: the preservation of immigrant diets in the postcolonial era.” Association of American Geographers Annual Congress. Session on Contested Geographies of Obesity. San Francisco. April 17-20, 2007. “Exclusion, separation, creativity, and social capital: the possible links between urban sprawl and social and mental health.” Public Health Association of British Columbia conference. Vancouver. November 27-30, 2006. “The impact of neighbourhood food choices and acculturation on immigrant diets.” World Planners Congress. Vancouver. June 17-20, 2006. “Learning from a comparison of case studies in TOD.” Licensed Professional Planners Association of Nova Scotia Lunch ‘n’ Learn, January 25, 2018. Panelist, Licensed Professional Planners Association of Nova Scotia planning certification information session, Dalhousie School of Planning, April 12, 2017. Panelist, The People’s Queen Street Camp, with Matthew Blackett and Ken Greenberg. 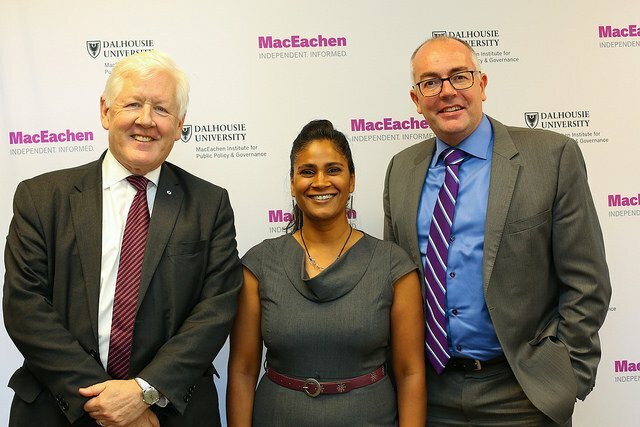 Centre for Social Innovation, April 25, 2015. “Demographic shifts and transit provision.” Canadian Urban Transit Association Youth Summit on Sustainable Urban Transportation. Vancouver. August 21, 2011. Interview on affordable rental housing in Halifax. CBC Information Morning. January 29, 2018.